Flowers aren’t the only things deserving of artistic arrangement. 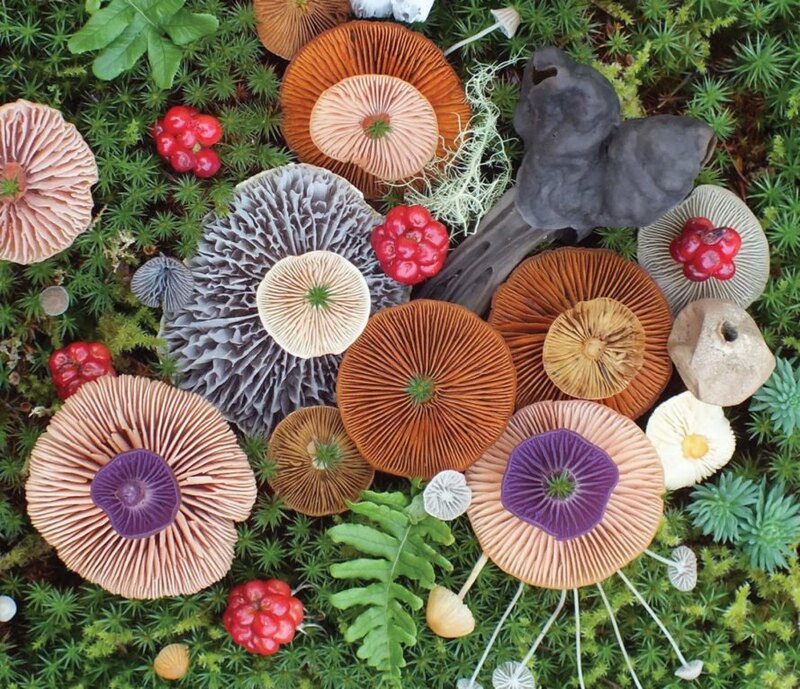 Artist and self-proclaimed nature nerd Jill Bliss shows off the magical beauty of mushrooms in her gorgeous temporary fungi arrangements in a series she calls ‘Nature Medleys.’ These stunning compositions show off the diverse texture, types, and colors of fungi in eye-catching detail. Jill Bliss lives, works, and travels the Salish Sea islands of Canada and Washington State where she collects natural objects and inspiration for her art. Bliss forages for the mushrooms in local forests and will often pair the fungi finds with other plants and objects found by the shore including shells and pieces of driftwood. 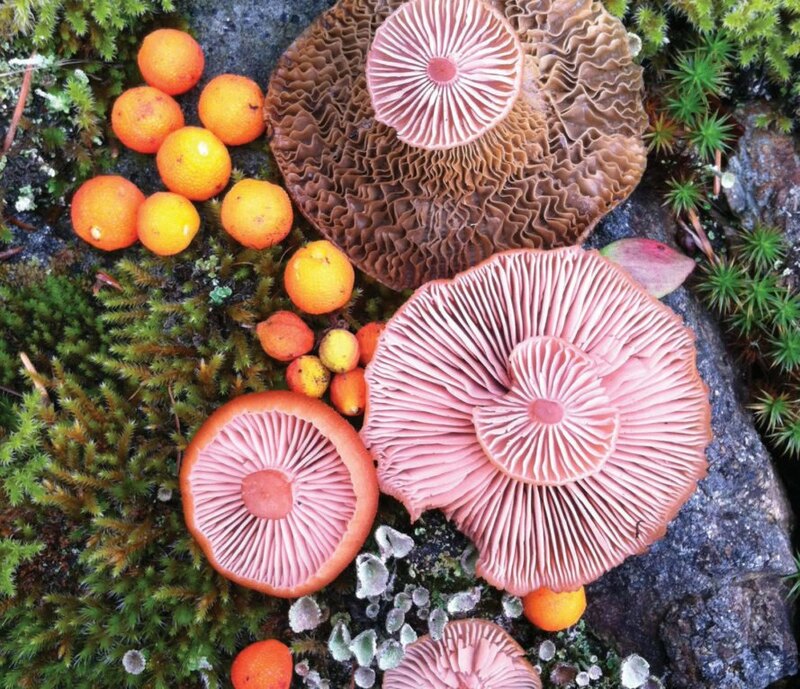 An incredible variety of mushrooms exist in the Pacific Northwest. 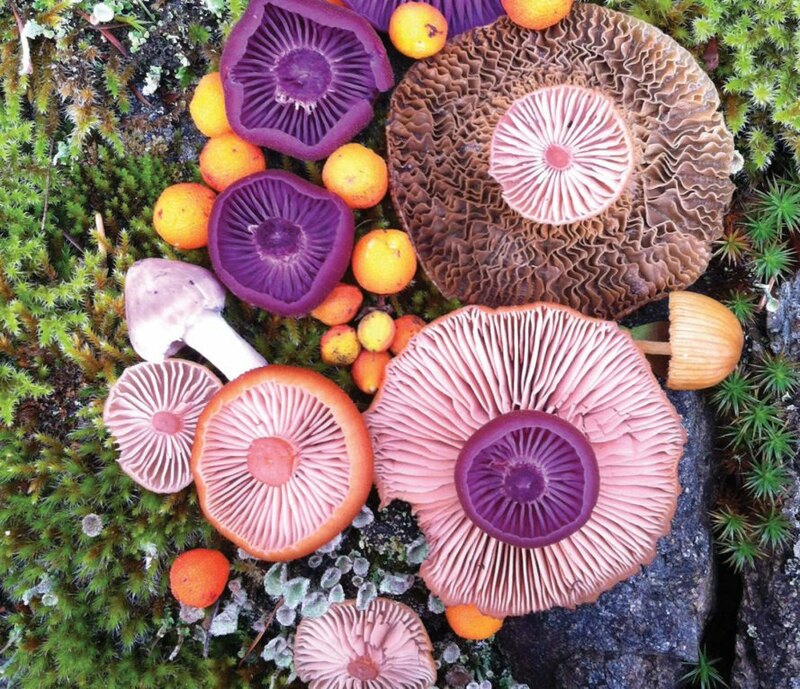 One of her most popular and eye-catching mushroom choices is the vibrant purple gill mushroom. Bliss photographs her compositions and offers many as prints and stationery in her online shop. You can see more of her work on her website and Instagram. Flowers aren’t the only kinds of plants deserving of artistic arrangement. 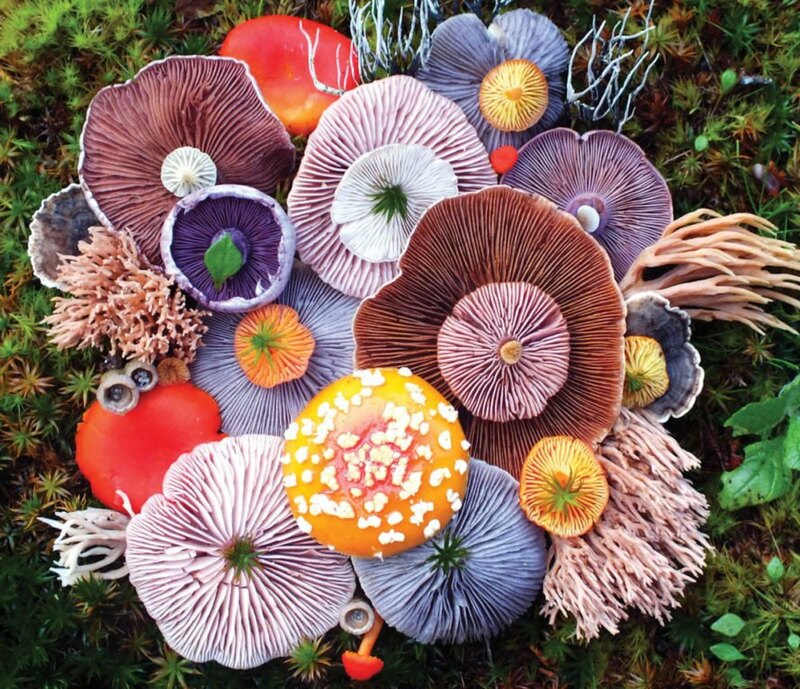 Artist and self-proclaimed nature nerd Jill Bliss shows off the magical beauty of mushrooms in her gorgeous temporary fungi arrangements in a series she calls ‘Nature Medleys.’ These stunning compositions show off the diverse texture, types, and colors of fungi in eye-catching detail. Jill Bliss lives, works, and travels the Salish Sea islands of Canada and Washington State where she collects natural objects and inspiration for her art. 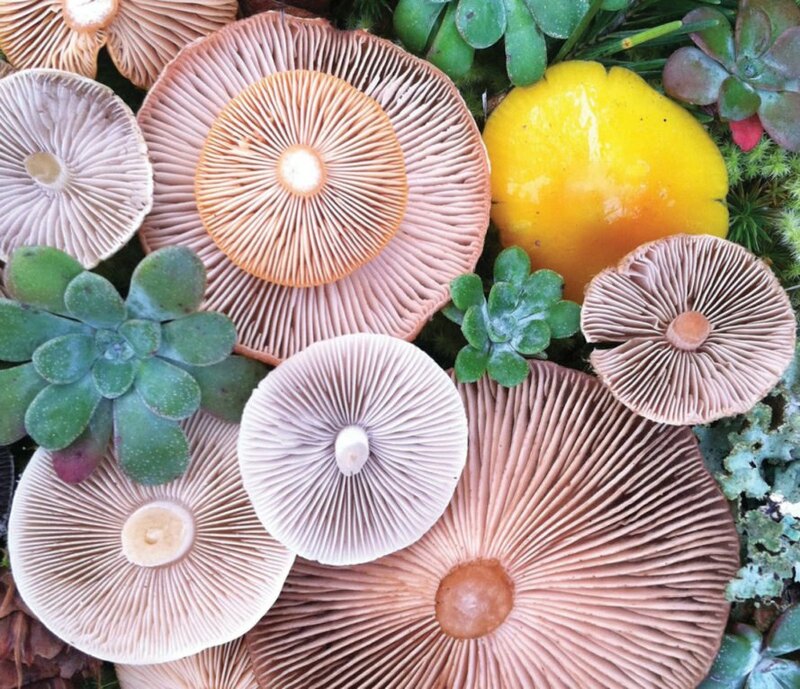 Bliss forages for the mushrooms in local forests and will often pair the fungi finds with other plants and objects found by the shore including shells and pieces of driftwood. 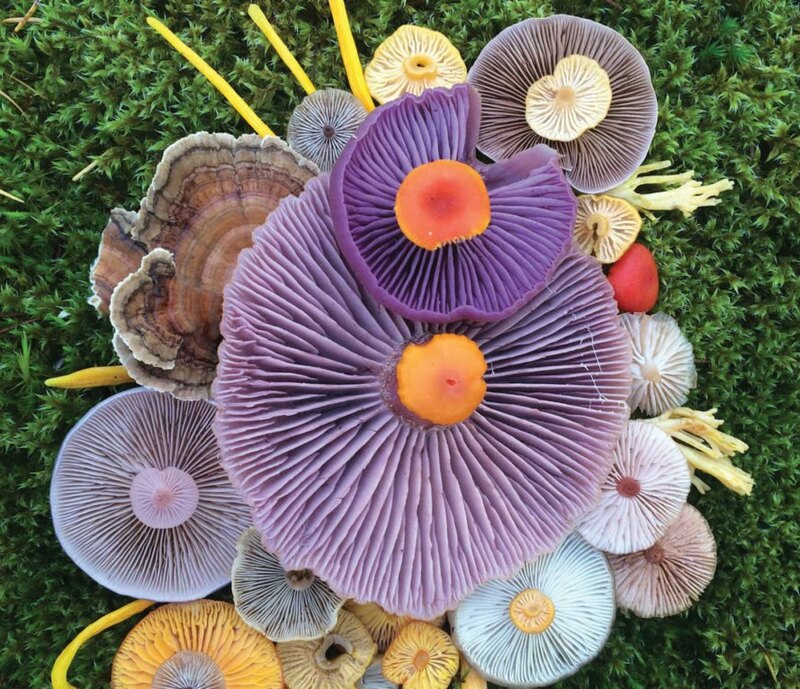 One of her most popular and eye-catching mushroom choices is the vibrant purple gill mushroom. Bliss photographs her compositions and offers many as prints and stationery in her online shop.